As someone who reads and follows a few beauty bloggers, I had always been aware of and interested in The Ordinary and its ethos, but I didn’t try it until around six weeks ago. Why? To be honest, I didn’t get the hype and it wasn’t easily available to buy, so I was lazy about sourcing it. I also found it difficult to understand the science behind the skincare. I’m not a maths or science person (hence, I became a writer, blogger and comms professional) and so figuring out which products work well with which, and trying to understand why I couldn’t use certain product alongside another, really started to hurt my brain. However, in October I got an email from the PR company that represents The Ordinary, so I asked them if they could recommend any of the products to suit my concerns (overall skin tone and appearance, sun damage, dehydration, fine lines). They sent me a few products to tackle my skincare issues, and I had a look at the website to find out when and how I should be using the products… I set to work around six weeks ago, and it’s been easy to see why the budget skincare line has created such a storm. After just a few weeks of religiously using three products (my new skincare routine is noted below), I started to notice my skin looking a bit brighter. Another week later and it was brighter still, and now six weeks on I am delighted to have seen real results in the general appearance and tone of my skin. The Ordinary doesn’t seem to have made much difference to my prominent sun spot so far – but this is quite severe damage so I know it shouldn’t be expected. As far as my skin though, it looks much clearer, much brighter and much more even, and quite honestly, I’ve been really impressed that I’ve had such visible and real results so quickly. I’ve been so pleased that I restocked my retinoid last month at the Glasgow counter (located in House of Fraser), and bought the Peel as well, which I tried at the weekend. I definitely plan to buy more Vitamin C A-SAP, because I’m sure it’s making a profound difference to the clarity of my skin. I’ve reduced the Matrixyl (fights the wrinkles) to once a day to see if it makes a huge difference, and if not, I’ll consider trying a different product in its place. I’m keen to introduce more of The Ordinary products into my skincare routine because the three products I have been using have made a massive, visible improvement to the condition of my skin and it’s completely affordable (after six weeks of continuous use detailed below, I still have a third of each product left). My new routine with The Ordinary has left me feeling more confident and less worried about aging, which means I’m using less make up – and the make up I am using has improved immensely in the last two months because the canvas is so much better. 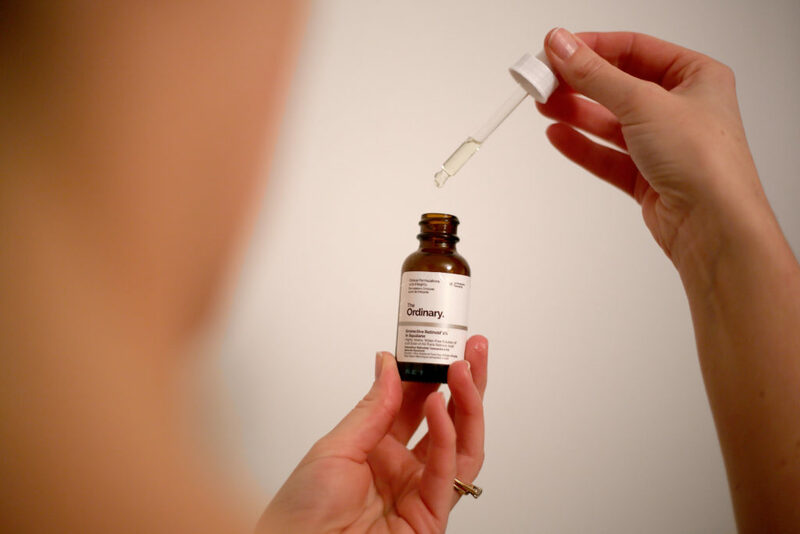 If you want to start using a more clinical approach to skincare, but don’t want the experience to be too intense or expensive, then I seriously and highly recommend The Ordinary. Once you figure out which products work for which concerns, and then which products can be used when and with what, you’ll never look back. 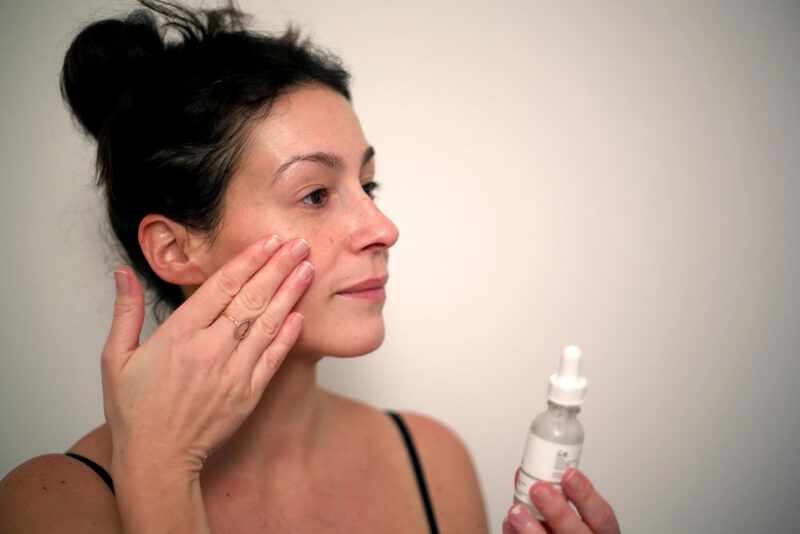 Your skin is a worthwhile investment, so like me, you might even wonder what took you so long to get started, given the completely reasonable price point alongside such rapid and visible results. I use a face mask every Sunday, and eye masks as and when I feel I need a boost. However, as I mentioned I recently bought The Ordinary’s peeling solution (contains acids so not to be used on sensitive skin) and tried it for the first time on Sunday night. My skin tingled immediately, and was very pink afterwards, and although I seemed to get a tiny dry patch on my chin I would say that it improved radiance the next day. This shouldn’t be used more than twice a week so I think I’ll stick to once a fortnight for now and monitor the effect. Let me know if you want to know more. 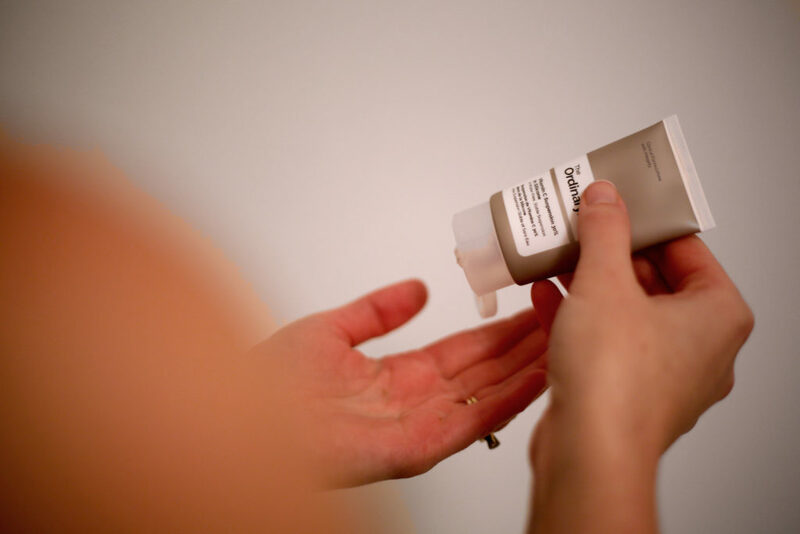 Find your regimen with The Ordinary.